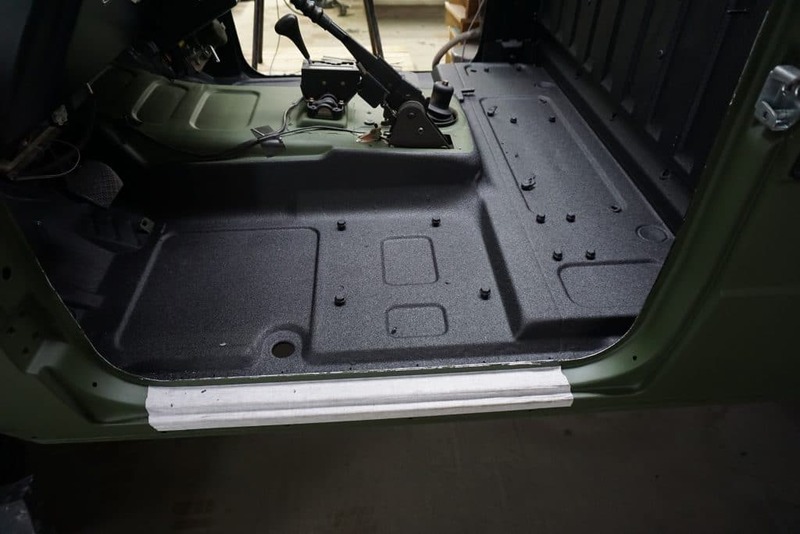 Loading area, interior, interior fender, sill area – a KCN-Liner is more than an alternative to plastic protection tub, aluminum linkage, rubber mat or wooden inlay. In contrast to these, the coating cannot be infiltrated, broken, torn or deformed. 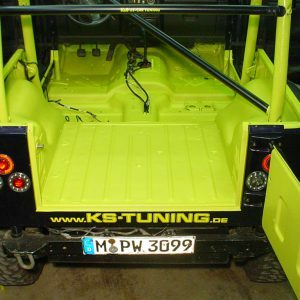 In addition, a KCN-Liner is abrasion-resistant, slip-resistant, does not take up any space and enables simple and effective cleaning in the interior after visits to construction sites or off-road trips. 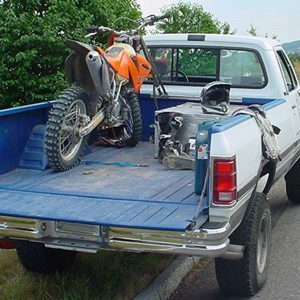 The standard colours for pickups are black and anthracite grey. Other colours are available on request. Whether harmonizing with the colour of your pickup or as an interesting contrast – we coat your vehicle the way you want it. 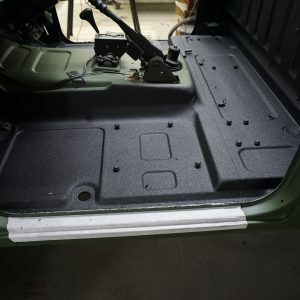 Interior, sills, bumpers, additional tanks. 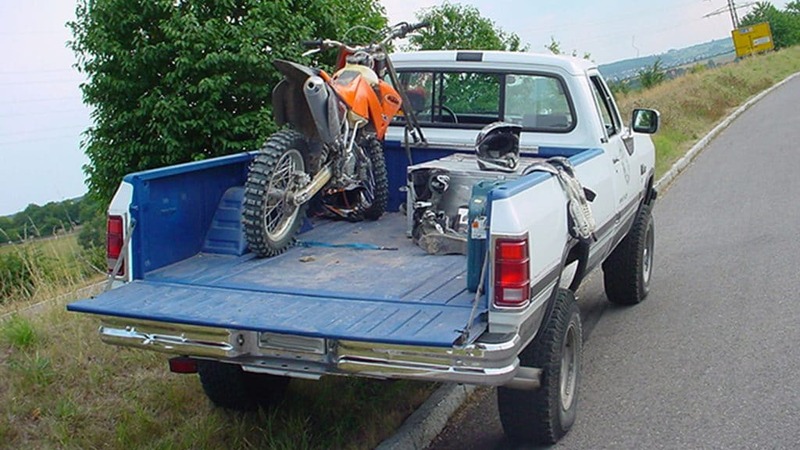 Off-road use always involves sand, dust or mud. A seamless coating is necessary so that this cannot penetrate every crack. Cleaning after use can be perfectly easy: open the front door, open the back door, steam jet once – that’s it! A colour-adapted coating on sills and bumpers eliminates the need for annoying repainting after a collision with terrain “utensils” such as trees or stones. Additional tank: the coating reduces annoying sloshing noises. Vehicles used in the forest are constantly confronted with leaves, soil and bark residues. Blood, fur and saliva are added during the hunt. The seamless coating is optimal so that dirt and liquids cannot penetrate every crack. A thorough cleaning with the steam jet after each use is possible without any problems. If the footwell is also coated, unlike carpet inlays, you can also get in without having to worry about dirty shoes.